When Final Destination came out it was a breath of fresh air after all of the slashers movies that followed in the wake of the sudden success of Scream. For once the killer was an untouchable omnipresence instead of a guy wearing a mask. The deaths all consist of accidents. Some of which are elaborate. At the end it seemed as if the last three remaining characters had removed themselves from Death’s agenda. But the very last shot of the movie proves otherwise. Final Destination 2 is set exactly one year after the fatal crash of flight 180. The event that set the previous movie in motion. This time a teenage girl named Kimberly has a violent premonition of a gruesome accident on a freeway. As a reaction she blocks the freeway saving herself and a couple of others who were meant to die. If you have seen the first movie, you will know what happens next. The breath of fresh air that was Final Destination becomes an uninspired franchise with its first sequel. A sequel that is basically the same movie as the previous one. Only this time the focus shifts from suspense to gore as the “accidents” become more and more elaborate. In he first movie some water on the bath room floor or a random bus were enough. In Final Destination 2 almost every accident stars off with a red herring before something else kills someone. Take the first accident for instance. We see someone walking up the stairs carrying a bunch of stuff while the stairs are filled with stiff he could trip over. But he reaches his home safe. In his home he gets his hand stuck in a waste disposal while the kitchen catches fire. Soon the whole house is on fire but he manages to reach the fire escape. It’s only after reaching safety he meets his demise. It’s obvious Final Destination 2 was written around a bunch of carefully designed accidents. Accidents that revel in gore. People are being pulverized by giant logs, burnt alive, impaled and/or crushed by an object. In one case someone even gets sliced apart much like the opening scene of the cult classic Cube. The first sequel is important to a franchise because it has the influence to push the series in a different direction. Unless it fails of course. But if Halloween III was released after the first Halloween and was a success than every Halloween movie would have had an original story. Because the second Halloween movie also revolves around Michael Myers it became a staple for the series that these movies were about Michael and nothing else. 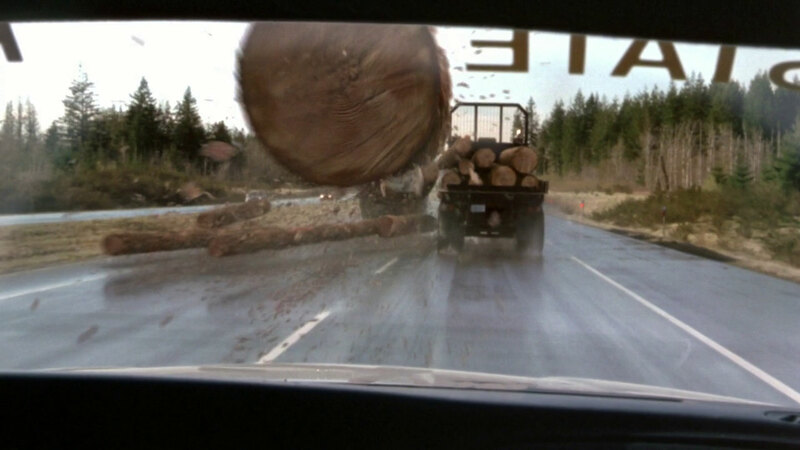 By being a rehash of the first movie, Final Destination 2 cements the series as we know it. Someone has a premonition, a couple of people are saved and then they get picked off one by one. It’s the same plot for all the Final Destination movies. Of all of the Final Destination movies, this one is most closely tied to the original. 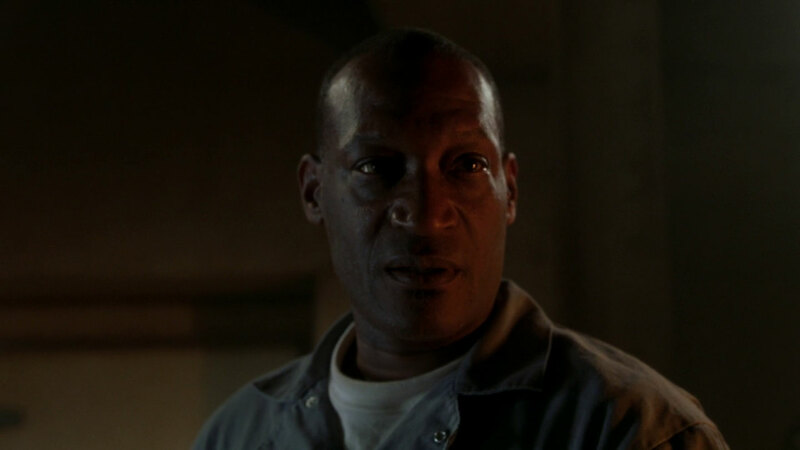 The events of the previous movie are constantly referred to and both Clear as well as the undertaker (Tony Todd) reprise their roles. It’s good to see at least some familiar faces since this helps the advancement of the plot. No ridiculous scenes in which Kimberley finds out how the whole “agenda of Death” works all by herself. Clear will just explain it to her and all the newcomers to the series. Final Destination 2 is not a great movie, but more of a crowd pleaser. Compared to this movie the original has actually developed characters. All this movie expects from us is to sit back and watch people whose names we don’t even know or remember die in horrific ways. Basically it’s like LiveLeak: The Movie.